I am, was the queen of dehydration; I remember going days without having so much as a glass of water and as crazy as this may sound, I didn’t feel the need for it. Bad, I know! My mother – who is a power house with amazing skin- drinks 3-4 litres a day and here I was barely having a glass … embarrassing. I knew I had to have more and as someone whose main goal in life is to learn, grow and be my best self, I knew I was failing at something so simple yet so important. So that’t how it started; I woke up everyday and reminded myself to have water – and no, americano’s don’t count. I set a goal of drinking at minimum 1L a day and thats huge for me because the only water I was having was in my coffee! Although these are things you may already know, a reminder is always important so today I’m sharing a few reasons why you should be having more! We are exposed to toxins daily and if you live in the city, chances are your exposure is higher (emissions, pollution, etc.) which is why having sufficient water is important. Having enough water daily flushes these toxins out of your body and helps your organs do their job. Did you know that your liver filters 1.4 litres of blood per minute? The viscosity (thickness or consistency) of your blood is dependent on the amount of water you drink and therefore determines how well your blood travels into and out of your liver. Drinking or having enough water ensures that your filtering system (including your other organs) are working perfectly and ridding your body of all unnecessary toxins. As someone who has suffered from bad skin I can tell you that this one is very important to me. 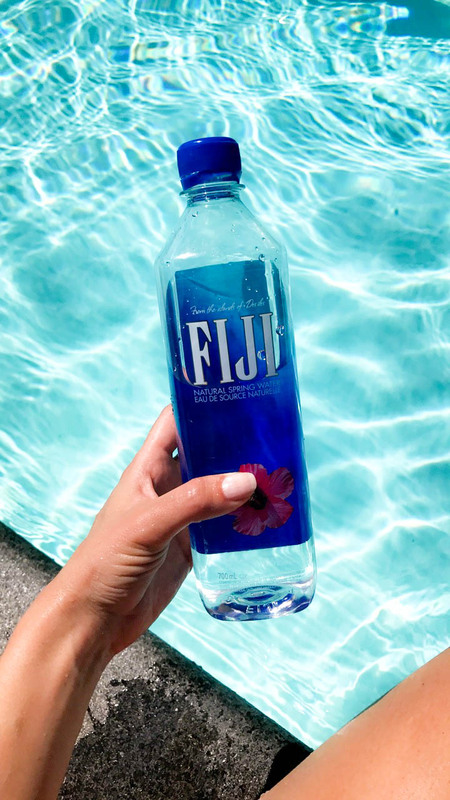 Your skin is 64% water according to the Journal of Biological Chemistry and allows your body’s cells to grow, reproduce and ultimately rid your body of toxins that age you. Luckily for you, you can get your water other than drinking it. A few months ago I started eating cucumbers regularly. I was having a minimum of 1 litre of water a day but I started having cucumber salads for lunch and dinner. After a week of eating them everyday I noticed a substantial difference in my skin. It was glowing, clear and hydrated. Eating this water packed vegetable changed my skin in the best way possible! Did you know: cucumbers have 96.7% water content and have the highest of any solid food? Not only are cucumbers packed with water but they also have vitamin K, potassium, vitamin C, vitamin B1, biotin and magnesium! Our brains and heart are made up of 73% water and according to Dr. Corinne Allen, founder of the Advanced Learning and Development Institute, “brain cells need two times more energy than other cells in the body. Water provides this energy more effectively than any other substance. Now that I have at minimum a litre a day, I feel the difference when I don’t have any. How did I ever go days without it? Never again! One of the things that has changed the way I consume water is my S’well bottle. I carry it with me everywhere I go and having it is a reminder for me to keep drinking. 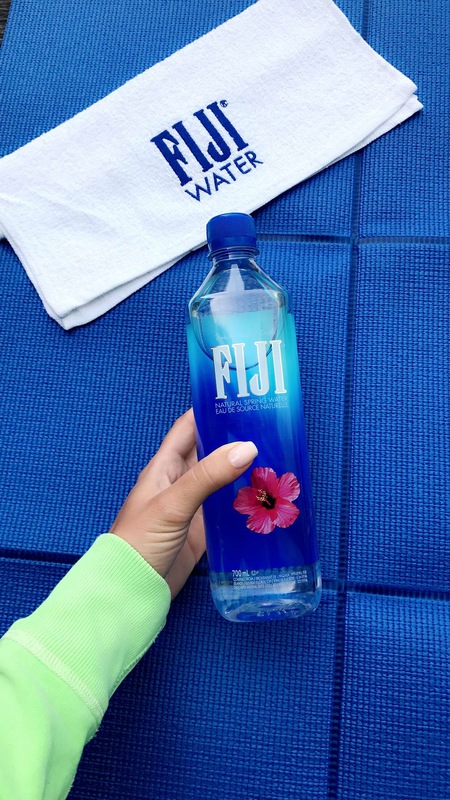 On the days when I don’t have my S’well, I carry the 700ml bottle of FIJI water which is one of my favourite waters. Their new bottles fit in any cupholders- winning! So, how much water will you have today?